Fishing has been great the last week. As school is beginning, most people are back home and preparing for the school year, which is taking some of the pressure off of the river. Temperatures have been back in the 80s this week and water temps have remained stable. Terrestrials are a reliable food source for fish so make sure your boxes are loaded with hoppers, ants and beetles! Be on the lookout for some epic ant hatches in the coming weeks. There are good numbers of them along the banks, but we still think they will really show up here soon. Smaller hoppers still seem to be the ticket to moving fish. Morrish Hoppers, Thunder Thighs, Parachute Hoppers/Crickets, and White Cloud Hoppers in the #14-12 range are a good bet. Foam attractor patterns like Chubby Chernobyls, Chernobyl Ants, Dornan's Cutty Crack and The Pig are all good patterns to use as well. With flows the lowest we've seen all summer, fish aren't only on the banks and distributed across the river. The river was running at 2950 cfs at Corwin Springs and 2960 cfs in Livingston. There are some over cast days in the forecast this coming week, so look to get out and catch some fish! 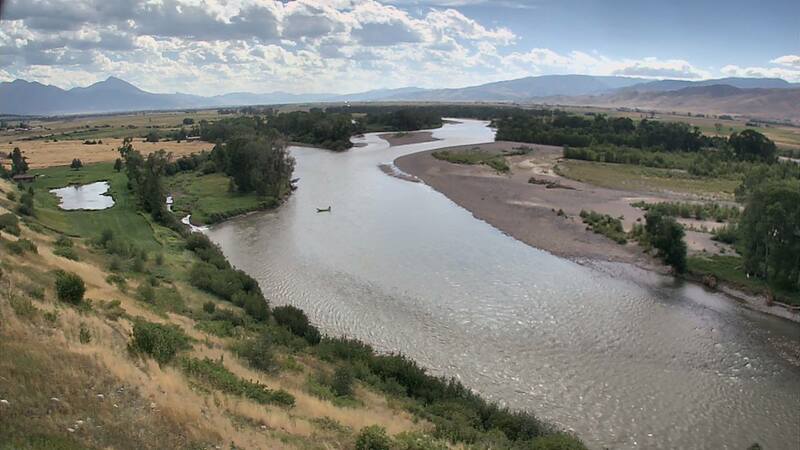 Call or stop by the shop to get an up to date report on river and fishing conditions.